Anti-Depressant: The curcumin compound in turmeric helps in easing depression. Research has also supported the curcumin has anti-depressant properties. Cardiac Care: Curcumin balances your cholesterol levels by eliminating excess LDL (bad cholesterol) from the arteries and blood vessels. While vitamin B6 inhibits the production of homocysteine that damages cell walls, weakened cells walls are highly susceptible to plaque buildup and high blood pressure and thereby causing cardiac complications. Skin Care: The anti-bacterial properties in turmeric inhibits the growth of pimple-causing bacteria, reduces excess oil secretion. Curcumin the helps to limit the growth of free radicals therefore deterring the pigmentation and aging. Weight Loss: Turmeric aids metabolism, helps burn calories, reduces fat. 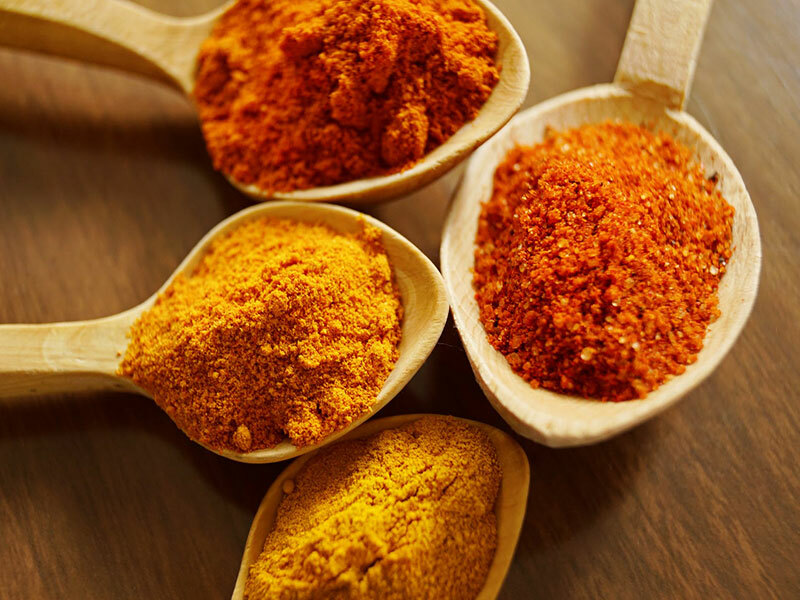 Anti Inflammatory: Curcumin is contributes in lowering bad cholesterol levels and suppresses inflammation in – muscles helping reduce arthritic pain, gout, and muscle pain following exercise or injury. Curcumin also prevents inflammation of pancreas and fat cells helping your body reduce weight. Prevents Cancer: Curcumin reduces growth of new blood vessels in tumors as well as spread of cancer contributing to the death of cancerous cells. Detoxifies the Body: Organic compounds in turmeric improve liver function and reduce toxicity in the body by stimulating the lymphatic system. Cognitive Benefits Considered as brain boosting herb, turmeric increases concentration, boosts memory retention. Turmeric stimulates neural activity and prevents cognitive degradations, which cause Alzheimers and dementia. Curcumin aids to clear amyloid plaque a major indication of Alzheimers progression.